The early war Schützen platoon is ready for games, just needed jump off point markers. 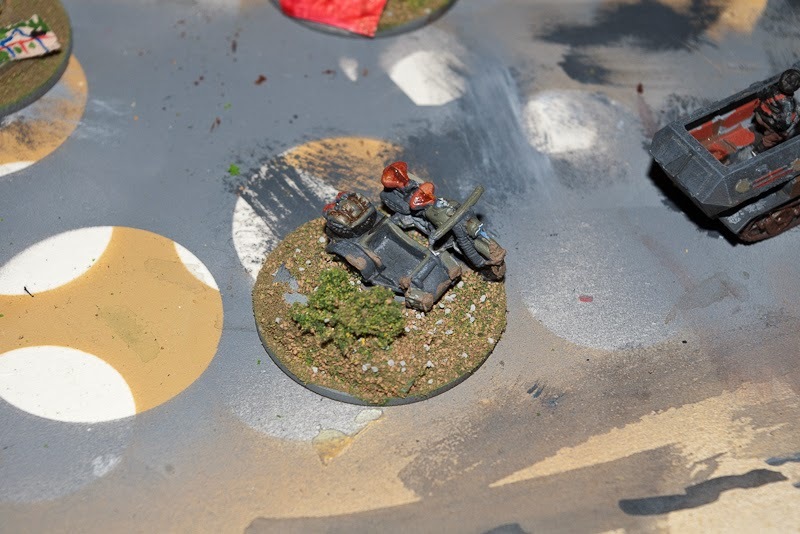 I decided to go with mainly vehicles, representing troops that have hastily dismounted when contact is made. 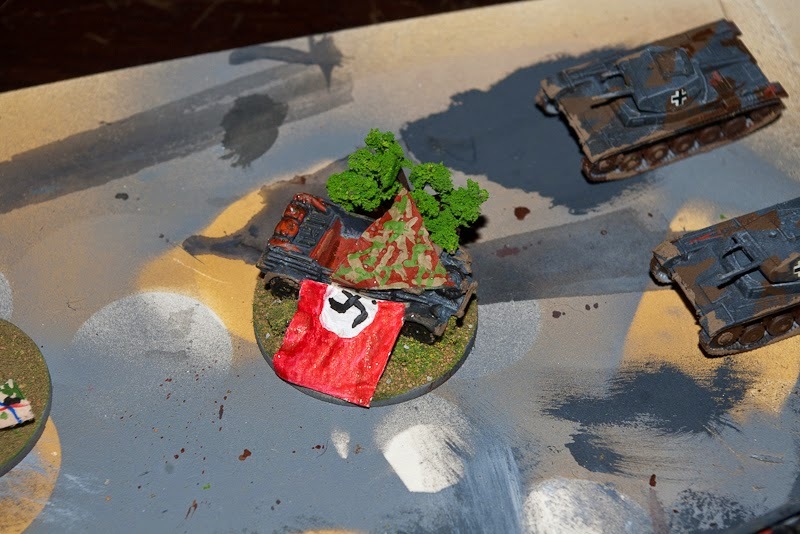 Vehicles quickly camouflaged with tree branches and zeltbahn shelter pieces, motorcycle quickly abandoned behind a rock and some ammo supplies. Gentle prodding worked, as the high command intelligence department has reported that the French platoon are ready and itching for a fight. Last of armoured assets arrived from the painting line and unfortunately the dreaded Somuas and Char Bis are also ready, so we are ready to start. Truck hastily hidden under tree branches. 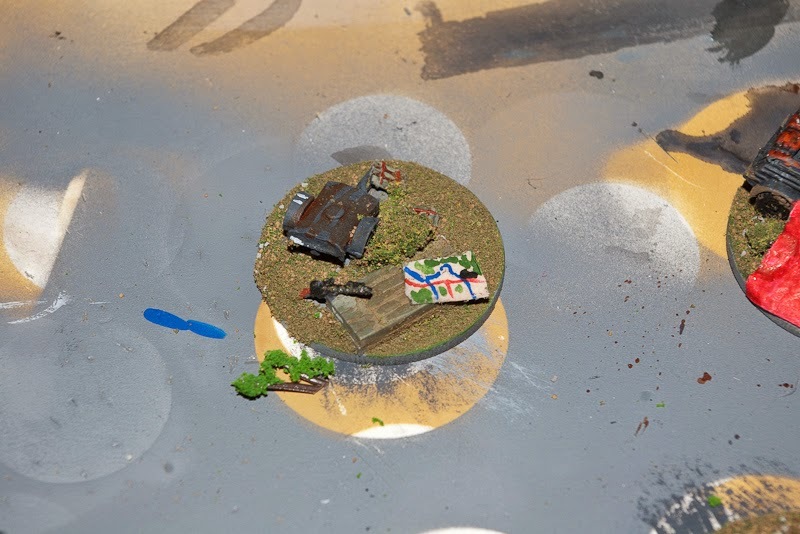 Kubelwagen camouflaged with a cut down tree, zeltbahn and an ad hoc air recognition panel on the other side warning friendly flyboys. Motorcycle was just abandoned behind a rock when lead started flying. One should not go far without supplies. Gulash cannon, some ammo and a map for that proverbial young officer to figure out where the poor platoon actually is.